I am dedicated to teaching American Sign Language (ASL) to anyone who would like to learn this beautiful language but has never known where to start. I offer a variety of services to help you in your language journey such as one on one private lessons thru SKYPE or the Take Lessons virtual classroom, tutoring and Baby Signing Time classes. Krista delivers an exceptional lesson experience and ranks in the top 15% of our teachers nationwide. Hi, I'm Krista. I am a professional sign language instructor as well as Certified Baby Sign Language instructor with many years of experience teaching everyone of all ages this beautiful language from the comfort of their own home through online lessons here on TakeLessons.com! as well as private one on one lessons for those students in the local area. I gear each lesson to help my students learn to sign in a fun and educational way. I graduated from the University Of New Hampshire with a Bachelor of Science Degree in Sign Language and am also certified as a Baby Sign Language instructor with a specialty in teaching children and adults this beautiful language from the comfort of their own home! I have a passion for helping students learn in such a way that best fits their individual needs. Everyone learns in a different way, and I find that when you gear each lesson towards your student's individual learning style it not only helps put their mind at ease but it helps them learn faster as well. Thank you for taking the time to read my tutoring profile, and if you think I would be a perfect fit to help you with your tutoring needs, then please feel free to message me. I look forward to working with you. Providing sign language services to those in need. Teaching American Sign Language to adults in the local area. How to sign cereal in American Sign Language (ASL) enjoy! 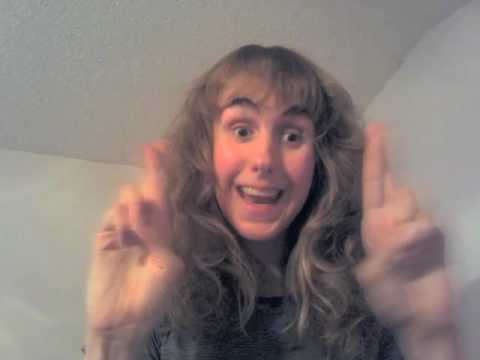 How to sign faith in American Sign Language (ASL) Enjoy! Even though my microphone wasn't working, Krista was excellent in communication with me. I was excited about how much we covered. I'm looking forward to our next session. Krista and I agreed on 30 minute lessons every week in august and yet the reciepts for my lessons that we recieved in december, say that we have been charged for hour long lessons the entire time. The lessons only lasted 30 minutes and she would always day goodbye after 25 minutes. When I tried to talk with her about this discrepancy she refused to resolve it and I was left feeling that she had been dishonest eith me. Indo not recommend taking lessons with her. I am very sorry to write this but it was truly and awful experience and I hope it doesnt happen to anyone else. We have had the privilege of taking 9 classes with Krista and we can already communicate in sentences. She is very patient, willing to repeat, great at explaining how to form a sign and very encouraging. Krista will adjust the lesson to where you are without judgement. It is evident she has a lot of experince and is passoinate about her teaching. We look forward to every lesson. 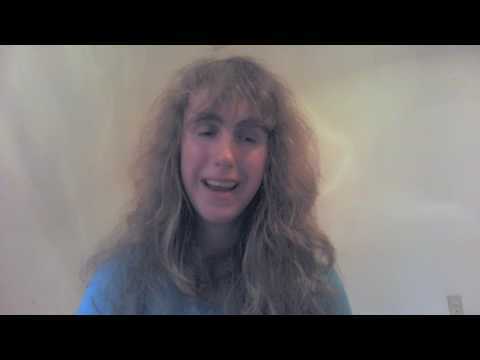 We would highly recommend Krista if you are interested in learning ASL! Krista is a terrific teacher and mentor. Knowledgeable, patient and energetic. 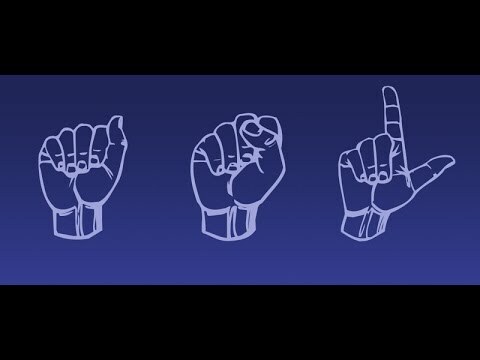 I look forward to experiencing and learning ASL as my guide in the coming months. I really enjoyed my lesson. She was able to find what level I am and build from there, since I've already have a little bit of knowledge in ASL. She was very helpful in teaching me new signs that I would use in my work environment and how to use in the correct way. I look forward to the next lesson!" Today was my first ASL lesson with Krista. I can't wait to see how it goes on my next session. She has patience for people that have no experience with ASL. Krista was very supportive and good at working with beginners. She was patient and willing to work with the small amount of ASL that l knew. I️ am excited for my next lesson. " Really fun! Myself and my daughter loved it. It's great when your instructor has a passion for what they are teaching. I had to learn a lot of topics in a very short time. She helped me accomplish this by having great conversations using all the vocab she has taught me. She is a great teacher and I recommend her to everyone. You have taught me so much and soon I can speak a different language. I would want to learn muck more. Excellent teacher! Very patient and helpful. Looking forward to many more lessons with her. Krista is the best!!! I enjoyed my first class! Krista is fabulous! This was my first lesson with Krista and even though we had a few computer glitches....all on MY end....I still learned a lot and she worked with me in such a kind and positive manner, so appreciated! Very excited to begin this journey with such a positive energy, knowledgeable tutor! Excellent Knowledge Of ASL! Great Tutor! Krista is a very patient tutor, and gets excited when we successfully learn the different signs. She is full of encouragement and praise! She sincerely wants me to succeed in learning ASL. Thank you Krista! Krista was great for my 8 year old daughter who showed a desire to learn sign language. She immediately showed me her name spelled out in sign language. Great job Krista! Krista's professionalism and personal attention to detail shined through as I learned American Sign Language. She has a deep love for the language and provides individual personal attention to make sure you learn the most during each lesson while having a lot of fun. I would recommend her whether you have a child wanting or needing to learn or for yourself as a beginner, intermediate or advanced language learner in ASL. Thank you Krista for a great experience! Krista has been patient and encouraging. We have skyped for our lessons and she is very reliable. She has never changed times or forgotten a lesson. She is happy to teach me whatever I am wanting to learn and provides examples for what we discuss. I am learning much from her and am enjoying the experience. I've been tutoring with her for a few weeks now, and I have to say she is a great tutor! She is very patient and accommodating, and when I struggle with a certain vocabulary term, she is there to break down each motion of the sign to help me understand what the motions are. My grades have improved and I am very grateful that I found such an awesome tutor. Having Krista as my tutor was one of the best decisions I ever made. Krista is impeccable in the way she prepares you to be successful, she points out the little pitfalls you might encounter so you're not surprised if and when you're faced with any difficulty during the lesson. I've found Krista to be a very positive and nurturing teacher, who sincerely cares about her students. Because of my positive experience with Krista, I look forward to further success in my studies. "I took sign language courses about a year and a half ago. I decided to take up the language because I have an uncle who is deaf. I took private classes from the comfort of my home via skype. Krista was my teacher and she was absolutely amazing. We worked together to meet my goals. I would not hesitate to take courses again. I definately recommend classes to anyone interested. It is very important to learn sign language especially if you work for the community. I am a teacher and my students love that I can teach them signs. Krista and I made a plan of what I needed to know, as well as things that I wanted to know. She is a great instructor and the company is fabulous! " My tutoring session was with Krista Duffy. I am more than pleased with her assistance. Krista has a very positive attitude and great energy. She was completely attentive to what I needed even though I was slightly ill-prepared for our first session. However, with her help, I realised what I need assistance with and will have another great session next time. She made me feel completely comfortable and gave me a renewed confidence with using Sign Language. Her signs are very clear and spot-on. I appreciate the fact that she has a formal education in Sign Language as well. I am grateful that she has knowledge of Deaf Culture that I can actually use in everyday existence and put to good use. I will continue to use her services as I book more sessions as soon as I am done writing this email! Thank you for providing such a valuable resource,"